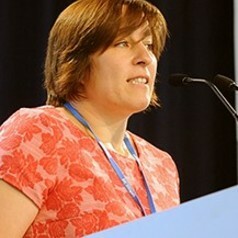 Vanesa joined the Urban Institute at Sheffield University in September 2017, following her appointment as a Professorial Fellow in the Faculty of Social Sciences. She has an interdisciplinary background in natural resources engineering and environmental sociology, having completed postgraduate degrees in Spain (Universidad Politécnica de Madrid) and the Netherlands (Wageningen University), and an engineering doctorate in the UK (University of Surrey). She was formerly Senior Lecturer at the Development Planning Unit where she taught since 2011 Environment and Sustainable Development. Her research focuses on global environmental governance, cities and climate change, infrastructure and urban energy systems.